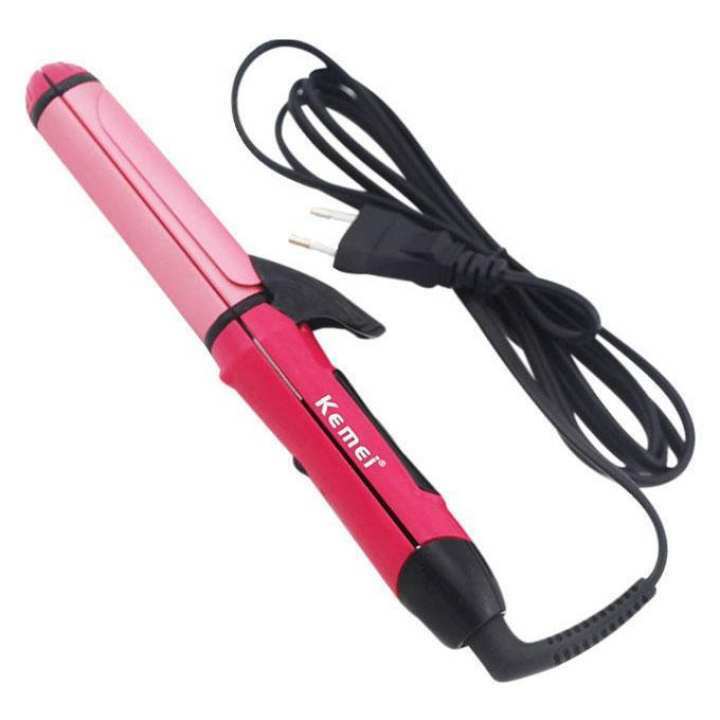 KM-1055 is great for transforming frizzy and makes dull hair into gorgeously straight, sleek locks. Aside from straightening, the Professional set curls and flips hair beautifully, its novel and safety design giving maximum control for all hair types. With flash quick heating and swivel cord, it provides great style without making a mess or taking too much time. Featuring new easier grip with ergonomic design for easier hold, the style flat iron also has versatile heat settings to provide you with total control for all your hair styling needs. Solid ceramic plates and coils will maintain even temperature.